Following Pixar director Brad Bird’s live action debut last year of MI: 4 Ghost Protocol (2011), Andrew Stanton, the animation studio’s director of Finding Nemo (2003) and WALL-E (2008) is now the second Pixar alumnus to also make his live action debut with Disney’s John Carter of Mars. John Carter has many pulpy elements that today’s audiences will be familiar with from other popular Sci-fi/fantasy series like the Star Wars saga, Dune, Conan the Barbarian, Stargate, Flash Gordon and Avatar, but that is only because those films were all at least partly inspired by this classic hundred year old Martian adventure series by Edgar Rice Burroughs. John Carter’s story has a lot in common with and was heavily influenced by the books of Edwin L. Arnold who wrote the adventures of Lieutenant Gulliver Jones in Gulliver of Mars in 1905, just seven years before Burroughs first published his Martian tales. Unfortunately much of the novelty that the adventures of John Carter once provided is lost by now, although there is still much to like about this movie, which is based on the first of Burroughs’ Mars adventure tales, A Princess of Mars, written back in 1912. Burroughs is best known for creating the popular jungle adventures Tarzan of the Apes; arguably the most well-known character in fiction and one of my favorites. Like his Tarzan character who became lord of the apes, John Carter is another fish-out-of-water story of an earth man and Civil War soldier from the 1800s, who suddenly finds himself dropped into the middle of an another war but this time on an alien planet called Barsoom (also known as Mars to us earthlings). Reluctantly he is forced to choose sides in a power struggle between warring Barsoomian factions as his superior strength, due to the red planet’s weaker gravity pull, gives him an advantage over the Martians. Barsoom has other advanced technologies not found on earth and John Carter soon finds himself persuaded to help a beautiful warrior princess who has been forced into an arranged marriage to the evil leader of her people’s enemies. The princess of Mars is a tattoo covered, strong muscular and spirited Xena type woman who’s pretty good in a fight and holds her own with John Carter. She also enjoys inventing and tinkering with new Martian technologies which is a mix of Steampunk gadgets and Martian bio energy. Staying very faithful to the source material the movie feels like a throwback to the pulp serial age of Flash Gordon but upgraded and treated with the most stunning visual effects today’s digital technology can achieve. Clearly a lot of care and meticulous detail was lavished on this film to do justice and pay homage to the great American fantasy author Edgar Rice Burroughs. This is the sort of movie George Lucas would have made if he had bought the movie rights to Flash Gordon in the early 1970s, which he actually tried to do, but because he was unable to secure those movie rights he decided to create his own space opera serial and we ended up, thankfully, with Star Wars (1977) instead. 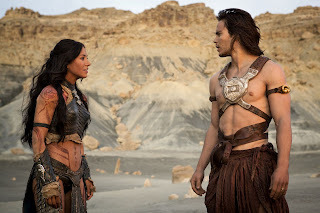 There are many strange and fun concepts and visually striking images thrown at us in this very rapidly paced film but what holds it all together and makes us care is the attraction between the Princess of Mars, played by Lynn Collins, and John Carter, played by Taylor Kitsch who have a good chemistry. 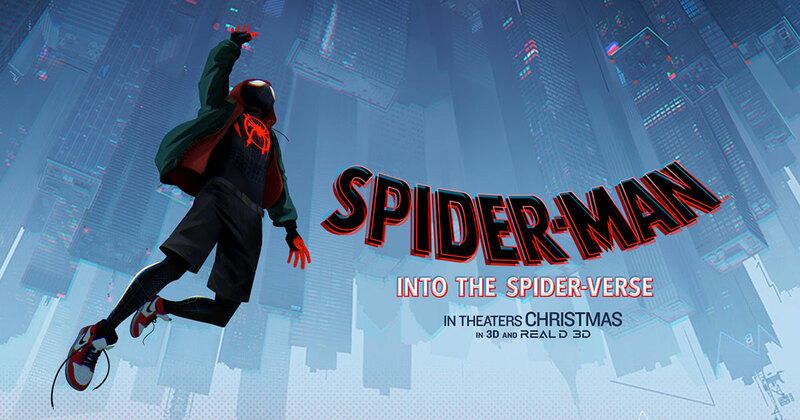 This movie is probably going to appeal more to the Sci-fi fantasy geek crowd of which I count myself as one and maybe younger kids who are into fantasy role playing games and the Clone Wars animated series. It may also appeal to older sci-fi fans that grew up with these early pulpy fantasy stories and comics. hi John, this movie had opened to a very good response i've heard but i doubt it can go far. let see. Also, i agree that it will appeal more to the Sci-fi fanclub. I really like your reviews John and although this movie would not appeal to me anyone thinking about it should read your article. I have heard some have not like it and think the trailer was so good they saw the movie and were disappointed. What do your think? Yes it's true. The trailer looked amazing and I was really anticipating a much better film. Although there a lot of fun things in the movie this territory has already been mined by other fantasy films that were much better. I found John Carter to be uneven in the special effect department and in a movie like this, where special effects are everything, you can't afford to have cheesy effects pop up, even if it's only from time to time. It's almost as though you could see them running out of money on the screen. So they saved everything for the big finale and then cheap-johned the stuff in the middle. Oh, the shame! Also the storyline was something less than....plausable. LOL Not exactly a "slice of life." But that's why Sci-fi folks like this genre of film. It's an escape film with nothing to do with reality. 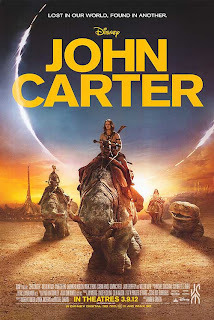 (Cue Johnny Cash here:) So for those producers that are looking for the big payoff with the Sci-fi crowd, "John Carter" will probably fill the bill. But "It ain't me, babe." Thanks Kay, great comment. It's always nice to hear from a pro movie reviewer. It's great that you still go to see so many films even when they may not be your thing. I kind of feel bad for the producers of this film. They had such a promising property and so much talent working on it, that it's too bad it didn't turn out as well as it could have. There were danger signs early on. 1. When a film languishes in development over 30 years, there's often a reason that it never got made. "John Carter" has been in turnaround since the '80s. 2. When big name producer/directors are associated with a project but then drop out, one after another, there's often a reason for that. Robert Rodriguez Kerry Conran, John McTiernan and John Favreau have all been signed on at one time or another but fell by the wayside. In other words, none of these guys cared so much that they were willing to fight to get it made, despite whatever obstacle existed. 3. $250 is a big nut to have to crack when you are looking at a bottom line. The good news there is that with international sales, it won't be impossible at all. You can eliminate the dialogue and still pretty much "get" the movie. 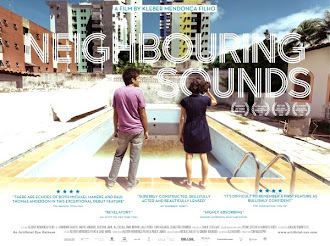 This is good for international distribution but probably a bad reflection on the script. When the dialogue is so forgettable that you can just skip it, that doesn't say much for the screenplay. 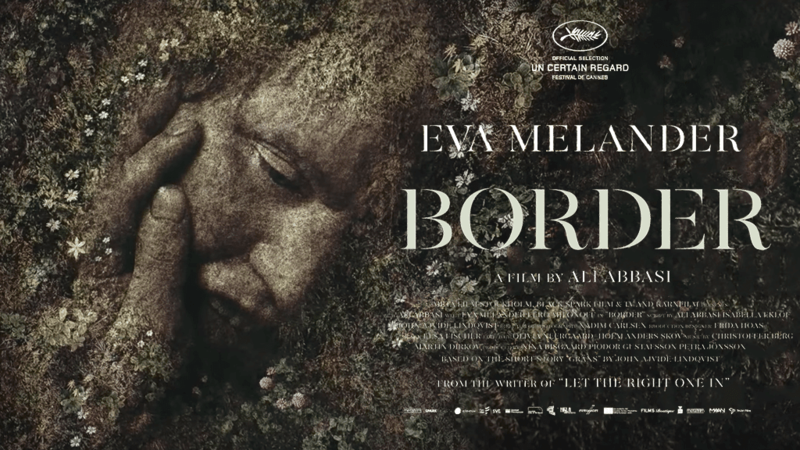 I did think that dedicating the film to the memory of Steve Jobs was a nice touch, however. I read all of the Burroughs Mars books many years ago. 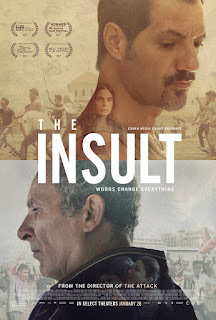 I was quite surprised when i saw someone made a movie. I've heard it didn't do that well here in the USA, but should meet it's nut overseas. I finally saw this on STARZ last evening. It did remain true to the story, but the story unfortunately is so dated as to make it totally unbelievable. (Spoiler) Even making John Carter, Edgar Rice Burroughs, uncle couldn't make it sound true. My film journal has been around since 2008, and has been prolifically and regularly updated for the past five years or so. JP’s got a lot to say about movies, and film in general and provides very thorough reviews. His reviews are the coolest part in my opinion, as they deal not just with the usual info (good, bad, etc.) but with the origins, history, similar titles, and various tangents which tend to be very interesting. JP really dives into a movie, giving it the same treatment one might expect of different art forms in a museum tour. The content itself is high-quality and well-written, unsurprising given some of his work is in print. Really, if you’re curious about a movie, or interested in what’s probably going to be worth finding out about down the road, this blog is absolutely worth stopping by to see what JP has to say. "The hero, setting forth from his common day hut or castle, lured, carried away, or else voluntarily proceeds, to the threshold of adventure. There he encounters a shadow presence that guards the passage. The hero may defeat or conciliate this power and go alive into the kingdom of the dark, or be slain by the opponent and descend in death (dismemberment, crucifixion). Beyond the threshold, then, the hero journeys through a world of unfamiliar yet strangely intimate forces, some of which severely threaten him (tests), some of which give magical aid (helpers). When he arrives at the nadir of the mythological round, he undergoes a supreme ordeal and gains his reward. The triumph may be represented as the hero's sexual union with the goddess-mother of the world (sacred marriage), his recognition by the father-creator (father-atonement), his own divinization (apotheosis), or again - if the powers have remained unfriendly to him - his theft of the boon he came to gain (bride-theft, fire-theft) ; intrinsically it is an expansion of consciousness and therewith of being (illumination, transfiguration, freedom). The final stage is that of the return. If the powers have blessed the hero, he now sets forth under their protection (emissary) ; if not, he flees and is pursued. At the return threshold the transcendental powers must remain behind; the hero re-emerges from the kingdom of dread (return, resurrection). The boon that he brings restores the world (elixir)".